UAS is somewhat established technology now with various platforms available in the market. Such platforms allow repeated season-long mapping of entire field blocks using range of optical sensors. The real question is how to extract meaningful information and simplified maps from such ‘big data’ sets for management decision making. 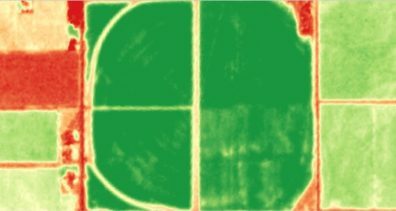 WSU “Drone Data Analytics in Agriculture” workshop may provide you with some insights. One-day workshop will cover basics of photogrammetry, best practices in UAS imagery data collection, theory and hands-on training on data analytic methods while analyzing actual agricultural data (case studies). Hands-on training will be provided by certified industry staff trainers and participants will get educated with available commercial (e.g. 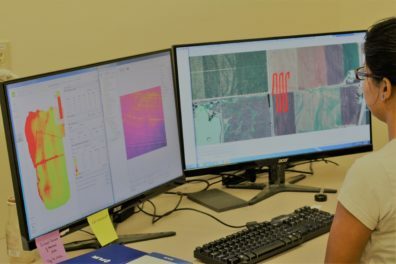 Atlas [MicaSense Seattle, WA], Pix4D [San Francisco, CA]) and open source (QGIS) data analytics software(s). Topic 1: Photogrammetry and optical sensing overview. Basics of photogrammetry with overview of available multi-spectral, thermal-infrared and Time-Of-Flight optical sensors. Topic 3: Overview of data processing tools and basic data analysis steps. Learn basics about radiometric, geometric corrections and image stitching; special, spectral and radiometric image enhancements; vegetable indices maps generation and interpretations; supervised and unsupervised data classification. Topic 4: Hands-on training using commercial 1) Pix4D and 2) Atlas [MicaSense]) software. Using real agricultural data (case studies) get step-by-step hands-on training on how to analyze, store and display data with both the software(s). Also, learn about proper data handling & safety issues. Topic 5: Drone data use in agriculture (case studies). 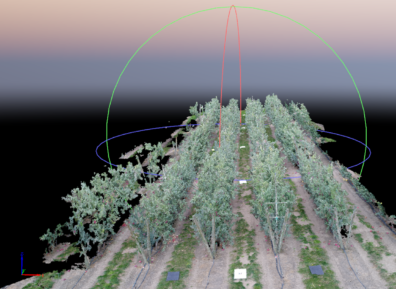 Through several case studies, we will go over meaningful data capture, analysis and use of such approaches in agricultural production management as well as in high throughput crop phenotyping applications. Registration Fee: $275/ attendee, Group of 5 or more $250/attendee. Seats limited to 35. Registration cost includes lunch and coffee/light snacks. Cancellations: accepted until 10 days to the workshop (registration fee, less $50 will be refunded). Afterwards, no refunds will be made for cancellations. Please contact Lav Khot (lav.khot@wsu.edu) & Gwen-Alyn Hoheisel (ghoheisel@wsu.edu) for workshop content information or Linda Root, (lsfleming@wsu.edu) for registration information.